If neighborhood dogs find your lush, green lawn the perfect place to do their business, it won't take long before brown or yellow spots develop as a reminder of their visits. The scent of dog urine attracts other dogs who pass by to urinate on the same spots, making it difficult to control the unsightly spots. Before you throw your hands up in defeat, try a few time-tested techniques that will have dogs moving down the street. If all the neighborhood dogs have been checking their "pee-mail" in your front yard, you'll need to do a little cleanup to reduce the enticing smells. Make sure all piles of feces get cleaned up, and give your lawn a thorough dousing with the hose to dilute urine and wash it into the ground. Sprinkle lime over your grass to reduce any remaining smells -- not only is it harmless to your grass, it helps neutralize the nitrogen that makes burned spots in your lawn. Sprinkle cayenne pepper liberally along the edges of your lawn and on popular urination sites to turn dogs away before they lift a leg. 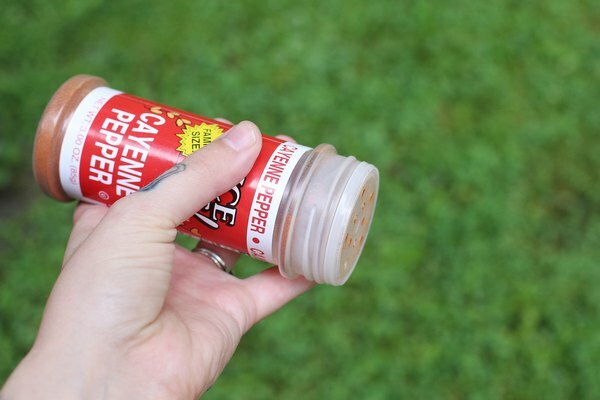 Although no product is 100 percent effective, the Texas AgriLife Extension Service recommends hot and bitter substances such as cayenne as the most effective home remedies. Some commercial or homemade repellents can trigger a dog to urinate on top of the new strange scent. For any chemical barrier to be effective, you must remember to reapply weekly or as often as directed. While signs asking owners to keep their dogs off the grass may reduce access by leashed dogs, off-leash dogs on the prowl just can't read. Install motion-activated sprinklers that come on when a dog starts sniffing around on your lawn. The sound and sudden splash not only startles him off the lawn, he'll eventually learn that your lawn is nowhere he wants to be. 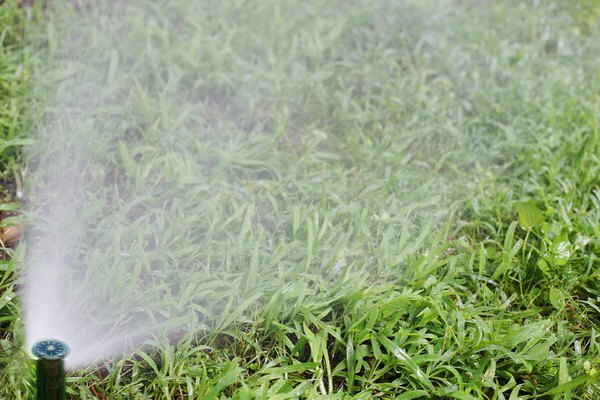 Remember to turn the sprinklers off when you're going to be out on your lawn, or you'll get sprayed as well. It's true that good fences make good neighbors, especially when that neighbor is a dog. Investing in sturdy fencing, such as chain-link, lets you enjoy your manicured lawn while keeping off neighborhood dogs. 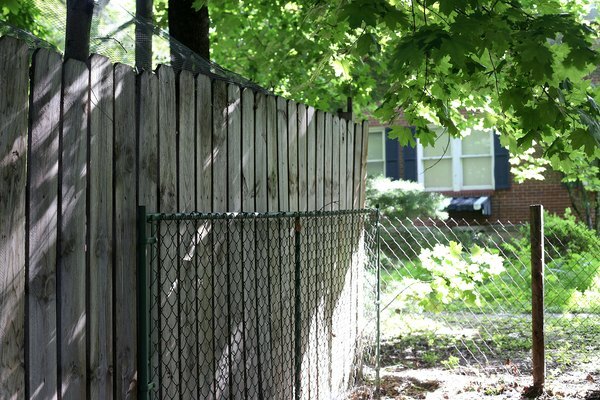 You still may incur damage around the edges where dogs can urinate through the fence. If permanent fencing is more than you want to spend, you'll find affordable yet effective options such as low-voltage electric wire. 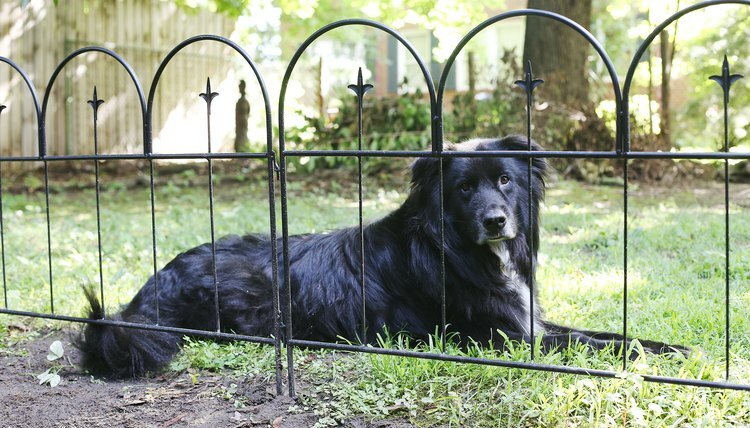 The fence delivers a low shock to dogs, skunks and other small intruders and is easy to install.